Snap shots are available to use on your websites under the following conditions. Clear back-linking to Coloradowebcam.net Landing page. If there is a SPONSOR write-up on the webcam, you must provide clear back linking to the Sponsor Site Hosting the Webcam as well. Can be found on final landing page of specific webcam. For Example Centennial WY – The Mountain View Hotel, Aspen Cams – The Aspen Square Hotel, Electric Mountain Cams – Electric Mountain Lodge, Some cans do not have Sponsors, in that case no need to backlink a sponsor. It is not permitted to move or copy any the Images off the ColoradoWebCam Servers. It is not permitted to reproduce or publish the images outside of showing the live view. .Use of the Live Stream is not permitted unless authorized to do so. Contact us to get a lease of stream and pricing to stream on your website. We do provide free access to the streams for any News Station and Weather Outlet for live productions on TV or Live Broadcasted Media. We encourage all the news agencies to use our resources. We do publish our live webcams on your Facebook Live Stream free of charge. Contact us to take advantage of this free service to setup authorization. When authorization is setup we will publish free of charge to your social network on appointment or when a channel is available. Our Paid Services are Camera Streaming on Your Website, Facebook Live Streaming, YouTube Channel Live Streaming, Cloud Video Surveillance of the stream for 30 days, Static Ads on our Streams for Marketing. We deploy live webcam systems free of charge to the Host site and provide them with free Marketing. We pay for and deploy the cams and support them. We use the power and internet of the host site and in turn provide them with free marketing. Use of the stream is not part of the free service, they can use the still shot under our terms. We own all the systems and hardware. We do deploy webcams for sites that want to develop and own their own systems. 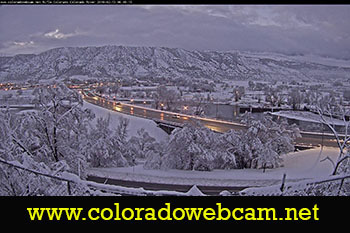 In this case we still require the streams if public view, be allowed to stream on Coloradowebcam.net. We will install and support the system, build the streaming and help them with publication. They will own the equipment and we will bill them for support and streaming annually. They will pay for the hardware and Primary Install of the system on a parts and hourly basis. Again we still have rights to stream these cams on our site if they are considered public view. Streaming them on our site is an advantage to them in getting more exposure. Our paid streaming services are annual, we do not turn on an off the streams per customers request, they are 7/24 and renewed annually.